Yahoo! Inc. (NASDAQ:YHOO) can now do business with its head high. There is the Alibaba cash in the bank, so the company can venture into some big investments. The latest news says that the Sunnyvale, California-based company is eyeing Snapchat, a photo messaging application. Reports have indicated that Yahoo! Inc. (NASDAQ:YHOO) is ready to invest the service at a valuation of $10 billion. This will be a big kill for the Snapchat team that had already turned down $3 billion offer from Facebook Inc as the move forward to explore growth. The figure that the company is ready to invest on the application isn’t clear yet, but some sources have indicated that it might be investing $20 million. This will mark the second major investment by CEO Marissa Mayer who took charge of the company in 2012. When Yahoo! Inc. invested $1 billion in Alibaba in 2005 to acquire close to half of the company, many analysts may have wondered why, but about 10 years down the line, the investment has yielded an unimaginable figure in profits. In fact, it’s believed that it’s the company’s stake Alibaba that kept many of the company’s shareholders around. Snapchat has a huge growth potential, and it’s believed that the company could become a force to reckon with in the near future. Mayer’s coming in to buy a stake in the company could be a repeat of the success that the company realized with Alibaba, though it won’t be to a similar magnitude. The investment is coming at a time that Snapchat has been looking for capital through engagements with investment firms, and companies. Yahoo! Inc. (NASDAQ:YHOO) had earlier acquired a startup messaging system called MessageMe, which the company is looking at revamping and bringing to the mainstream to take on some other messaging systems, including WhatsApp. This is a big risk as it will be a big task for the application to capture the market with other established players in the field. Things aren’t clear what Marissa Mayer will be doing with the $5 billion the company earned from Alibaba. The only clear thing is that she promised to return at least half of it to the shareholders. It’s however believed that the company will still be going into more acquisitions in order to expand its revenue base. Moreover, no information has come out yet on what Yahoo! 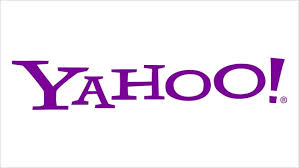 Inc. (NASDAQ:YHOO) will be doing about its core business. The news about activist investor Starboard urging the company to merge with AOL too has died down.